Haunted hospitals have attracted the attention of ghost hunters for several years now. While there are many different types of structures that seem to have an unusual amount of paranormal activity, it often seems that hospitals possess the highest number of incidences that seem to be paranormal based. Not only are many individuals born within the hospitals around the world, but many individuals also die in these structures. In most hospitals, a life and a death occurs on a daily basis. Not only is this a significant fact when it comes to paranormal activity, hospitals often carry a large charge of emotions related to birth, sickness, injuries, and deaths. It is no wonder so many people consider hospitals some of the scariest places on earth. Several different types of hospitals are the subject of paranormal phenomenon. 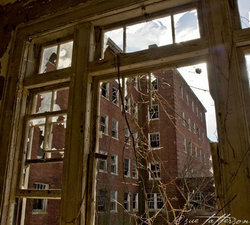 Abandoned buildings that once served as traditional hospitals, mental asylums, nursing facilities for the elderly, specialized hospitals, and even hospitals that are still in operation today typically have real life ghost stories associated with them. While it is easier for a ghost hunter to set up an investigation in an old abandoned hospital, many have been able to successfully investigate hospitals that are currently in operation. In nearly every ghost hunting investigation that occurs, evidence has been gathered to establish proof of ghosts. Throughout history, many individuals have breathed both their first breathe and their last breathe in a hospital. It is no wonder that so many ghost investigators feel as if there are several types of hauntings occurring at these types of facilities around the world. If you are interested in unusual paranormal phenomenon, apparitions, disembodied ghost voices, and other types of ghost sounds and ghost encounters, you are sure to enjoy this section of Greatest Unsolved Mysteries. Here, you will discover some of the most haunted hospitals throughout the United States and other regions of the world. Many reports of paranormal activity have been documented within this structure. When it comes to the subject of haunted hospitals, Norwich State Hospital is considered to be one of the most active sites in the United States today. The Waverly Hills Sanatorium has been deemed one of the "Most Haunted Places in the World".